Estes Park is surrounded by nationally protected lands and mountain peaks which range in elevation from 8,500 feet to over 14,000. Each year, this little mountain village that serves as the eastern gateway to Rocky Mountain National Park welcomes thousands of visitors, day trippers and lodgers from around the world. So, needless to say, Estes Park is worthy of a getaway. But that doesn’t mean your overnight stay has to be a typical one. To prove it, we rounded up the area’s unique accommodations — from tiny homes and treehouses to historic and haunted hotels. Enjoy your stay! The land at Dao House sits on what was once a gathering place of peace for rival Native American tribes in the region. Over the years, it has operated as a homestead, a ranch and a fox farm before becoming a lodge for the first time in 1948. In 2015, Dao House emerged as a meeting point of western and eastern cultures and today, they offer lodging, equestrian experiences and wellness activities including an oxygen lounge, internal martial arts, personalized retreat programs and shorter wellness getaways. The Stanley Hotel is much more than just a luxury hotel. 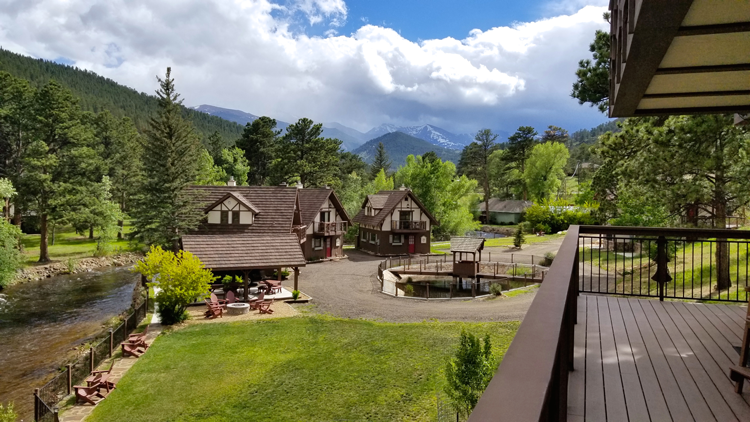 In addition to its historic rooms, legendary grounds overlooking Rocky Mountain National Park and destination dining services, its storied and haunted past which reaches back more than 100 years has made it one of the most famous hotels in the country. Activities inside include a spooky Night Spirit Tour which explores the phenomena and folklore surrounding the hotel. 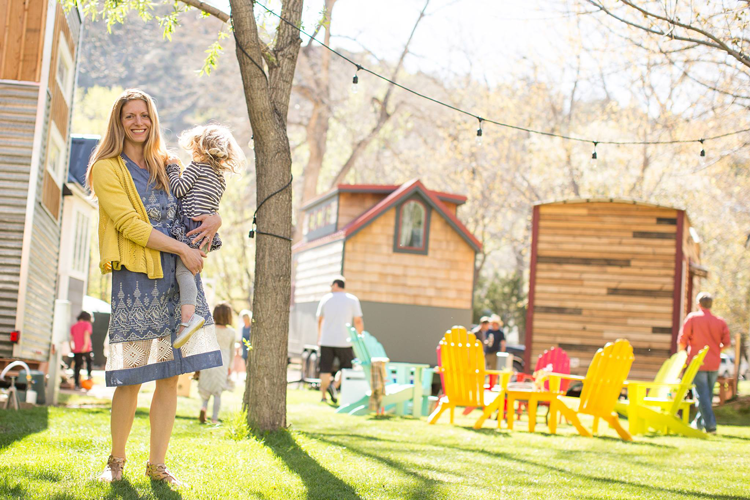 Just 30 minutes outside of Estes Park, you’ll find WeeCasa, the world’s largest tiny house resort. Set up neighborhood-style in close proximity to each other and just steps from the creek, each tiny house consists of approximately 135 – 400 square feet of charm and character. Just like hotel rooms (and even better, too), each home is fully stocked with appliances, towels, bedding, cutlery and dishes, and even WiFi. All you need to bring are food and beverages! Listed on the National Register of Historic Places, The Baldpate Inn has been enchanting Rocky Mountain travelers for more than 100 years. It’s nestled among the aspen and evergreen trees right beside Rocky Mountain National Park and began as a lodging destination almost right away when homesteaders Gordon and Ethel Mace moved in and built a handful of small cabins on their land. In addition to location and history, the inn boasts the world’s largest key collection and a photograph collection that includes signed portraits of presidents, celebrities, writers, inventors and more. Unique for its extravagant luxury, Della Terra Mountain Chateau is located right at the Fall River entrance to Rocky Mountain National Park. Perched atop fourteen secluded acres and nestled in untouched nature, the hotel’s fourteen, adult-only luxury suites feature walk-thru jetted showers, private balconies and hot tubs, sitting nooks with arched windows, see-thru fireplaces, and soaking tubs. The family-owned property also offers private amenities like chef-catered breakfasts, a private movie theater, the Essence spa treatment room and more. The Landing at Estes Park opened very recently in 2015, but before it was a lodge, it was the home of 83-year-old Joyce and her husband for 45 years. Many of the existing structures were built by hand by the couple when they were young. Today, owners Jay and Jen pay homage to the history and the love built into The Landing and renovated it to be one of the town’s best mountain retreats. Offering suites, villas, cabins and the River Ranch Vacation Home, there is something for everyone at this old-world inn. YMCA of the Rockies offers an experience every family should enjoy at least once. On the grounds of the Estes Park Center, there are hotel-style lodge rooms, cabins and vacation homes. And, when you’re looking for activities, the challenge will be choosing from the long list of options. The lineup includes archery, disc golf, challenge courses, horseback riding, mini golf, roller skating and ice skating, zip lining, yoga, outdoor arts programs and more. For a complete list of activities, click here. Reserved through Airbnb, Little Red Treehouse is exactly what it sounds like. Custom-built by owner and founder Leam Blackwood and sitting amongst the trees in Lyons, Colorado, this charming home offers huge views, a deck-top private shower, a balcony breakfast nook, an efficiency kitchen with both heat and electricity, stunning lodge design, and a unique treehouse experience you’ll never forget. 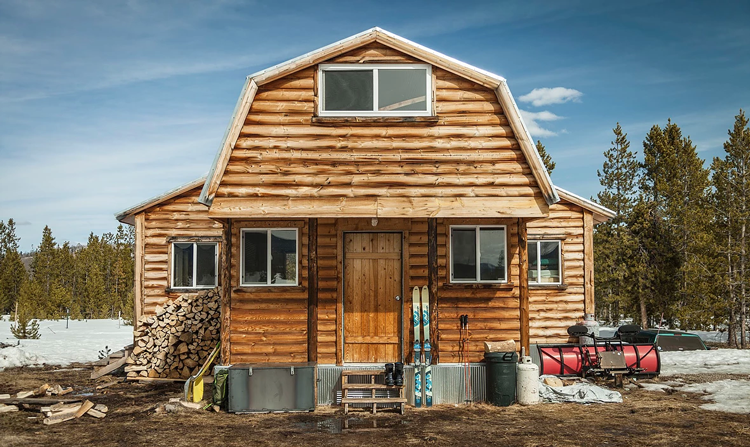 Located in the moose capital of Colorado — Colorado State Forest State Park — Never Summer Nordic has built and operates seven yurts and two huts inside the state land. Their headquarters is located in Walden on the outskirts of the park, but their backcountry yurts can be found in jaw-dropping, secluded locations throughout all 70,838 acres. Whether you’re looking for a weeklong backcountry ski trip or a romantic weekend getaway, Never Summer Nordic has the yurt for you. See them all here. Further from Estes Park and nestled directly above Fort Collins, Gaia’s Farm & Gardens is a three-acre, sustainable, permaculture farm that offers a CSA program of organic produce, a cafe-style roadside stand, farm-to-table private tours, animal-assisted therapy, horticultural therapy, a therapeutic petting zoo, and The Shangri-la Inn. Unlike any other inn experience, the Shangri-la allows guests a bohemian and eco-friendly stay in both farm and bed and breakfast style. If you have questions about your stay in or around Estes Park, check out our community page here. It includes information on the community, the location, things to do and more!